Want to live a healthy and happy life? Feeling Insomnia? 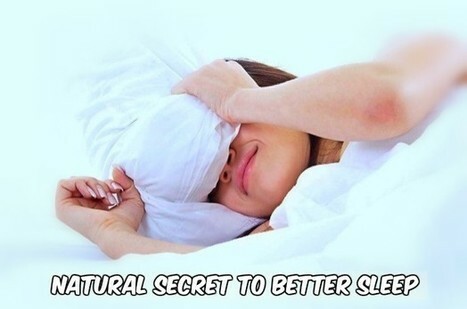 Read on to know the three natural remedies for better sleep and better life…! They say it right when they say that the happiest man in the word is that who sleeps well. Our body has been built in a way that it works all the time even when you are sleeping. Throughout the day you might be working and consuming energy, at night when you go to sleep, your body is still working. It works to restore your energy so that you can work with ease the next day. It restores the energy cells, repairs the damaged cells and does thousands of other things which cannot be done during the daytime because your body is constantly on the move. So sleep is pivotal for the healthy survival of human being. In today’s modern world where the work culture has become very dynamic, people have become restless. They want to have everything on the go and achieve a lot of things in a very short period of time. For that, they make a lot of sacrifices, which includes self-sacrifices. The biggest sacrifice that the human being is making today is that of not taking care of oneself. An average human being today is not taking care of his own body and is resorting to unhealthy habits. Sleep has become irregular because we are always running to achieve the deadlines. The importance of sleep needs to be understood thoroughly. Surprisingly a rising number of youth populations are suffering from the problem of either Insomnia or lack of sleep. This happens due to a lot of reasons. Irregular sleeping habits are bad for health and need to be taken care of so that one can lead a healthy life. Insomnia is a rising problem and needs to be dealt with effectiveness and promptness. There are different reasons why a person suffers from insomnia. And you will be surprised to know that food is one of the reasons. There are foods which can cause insomnia as well. For example, if you love sugar then you might get a craving for it at night and it can cause you to wake up in the middle of the night. Chocolates contain the good amount of quantity of caffeine which causes sleeplessness as well. Spicy foods cause indigestion problem and even acidity which will make it difficult for you to sleep peacefully. Alcohol may give you a soothing feeling but it is not healthy and does not let you sleep peacefully. We will list down 3 tips which will help you get good sleep. A warm foot bath with natural sea salts can help you get great sleep. It helps in forgetting all the stresses and also detoxifies your body. Peace of mind is required to get good sleep and a good relaxing foot bath will help you achieve it. So bury all your stress and say welcome to a good night sleep. Reminds of Baba Ramdev, doesn’t it? Cover your right nostril and breath in through your left nostril. It helps in activating the Vagal Nerve which is effectively the main nerve of your relaxation system. If your entire body is relaxed then automatically you will be able to have a sound sleep. Deep left nostril breathing for about 5 minutes and you are sure to have a good night! You need to vacate your mind by erasing all your thoughts and tensions. If you keep thinking about something all the time then it will cause problems with sleep. Your mind needs to be at rest in order to get good sleep. If you are worried about a lot of things then it is best to vent it out before you go to sleep. It can be done two ways, one is by talking to someone you are very close to or by writing it down in a diary. Writing it down is the best idea because it helps you speak your mind out without thinking about what is wrong and what is right. It is important to get good sleep in order to live a healthy and happy life. Good sleep ensures that you have a great day ahead. So give utmost importance to sleep if you wish to succeed in life. Insomnia can be well dealt with natural methods so resort to that rather than opting for medicinal ways. Naturopathy is the best way for disorder treatments like Insomnia and Nimba provides the best Naturopathy treatment. I am not able to sleep for last a fortnight. Despite of taking pill I don't sleep. Pls advise me what to do? Hello Mr. G.K Shrivastava, Thank you for approaching us. Kindly share your contact number and email address so that we can approach you. Exceptional post however I was wondering if you could write a litte more on this subject? I'd be very grateful if you could elaborate a little bit further. Bless you!